Even for experienced martial artist, learning and remembering Japanese terminology can be very confusing. It can also be very difficult to find out the meaning/definition of many words if you don’t know where to look. It is also important to note that the meaning of words can have slight variations between martial arts styles. 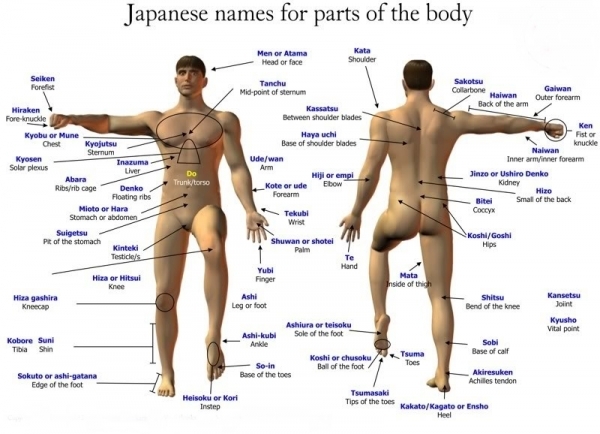 This page focuses upon terminology and meaning that is relevant to the arts studied by members of Bujutsu Martial Arts and Fitness Centre. So why do we do it? Why don’t we just use English terms? 1. You are are not just studying techniques, you are studying an art, its history and way of life. The japanese terminology is a big part of that. 2. I regularly train overseas, in countries all around the world. It doesn’t matter what country I go to, whether it be Japan, an English speaking country or a country that speaks some other language, because I know Japanese terminology I am able to train where ever I go. I have put this list of words together that will assist to make your martial journey even easier. These terms have been taken directly from the Zen Nippon Kendo Renmei 2009 Iai Manual. Ordinary walking footwork, where both feet move naturally. A wooden shaped sword usually made from Japanese Oak. Term given to generally mean all types of Japanese fighting arts. Sitting down from a standing posture. A word meaning the front. For example; Shomen E No Rei.